A healthy diet is important for all of us. Nutrition-rich, well-balanced food can reduce the risk of lung disease. In addition, people with certain lung diseases can heal or reduce their disease with functional nutrition food good for lungs. This research is on lung diseases and how foods affect lung health for better and worse. For this reason, it is important to incorporate food for lung healing. Inflammation Symptoms include redness, swelling, pain, and heat. It is a big red flag if Inflammation of the lungs is making them swollen or you have a hypersensitive respiratory tract. Long-term inflammation is caused by the long-lasting exposure to foreign substances caused and occurs, in chronic obstructive pulmonary disease (COPD). On hypersensitive immune systems like that of Asthma sufferers, this leads to inflammatory reactions to substances that can actually be harmless to a non-asthma sufferer. An allergic reaction is an excessive immune response to substances that are normally not dangerous, for example, bee pollen. These lead to inflammation, damage to the Mucous membranes and contraction of the Musculature and thus to a narrowing of the respiratory tract. As part of the breathing process free, radical chemicals are created. Environmental factors such as air pollution, cigarette smoke and pathogens can increase the number of free radicals our lungs get exposed to. Too many of these create tissue or organs damage. This process is apart of oxidative stress. These effects can be mitigated with food good for lungs and other lung excersises. What Negative Influences can Food Have on the Lungs? Our body only needs a daily salt intake of 5 - 6 grams, however, most people absorb much more. This can cause asthmatics a contraction of the respiratory musculature, reducing blood flow and causing impairment of normal lung processes. Food good for lungs is usually low in sodium, too high salt intake leads to retention of fluid in the lungs which can also cause lung respiratory problems. Lung swelling happens from many foods usually when they contain a lot of salt, especially in ready meals and preserves. Trans and omega-6 fatty acids during the last 15 years have changed significantly. The clearest difference is in the consumed amount of omega-6 and trans fatty acids. Trans fatty acids (or trans fats) are from industrial processing of unsaturated fats. It is common for these fatty acids to lead to heart disease. The Omega-6 fatty acids are relative to omega-3 Consumed fatty acids if taken too much. 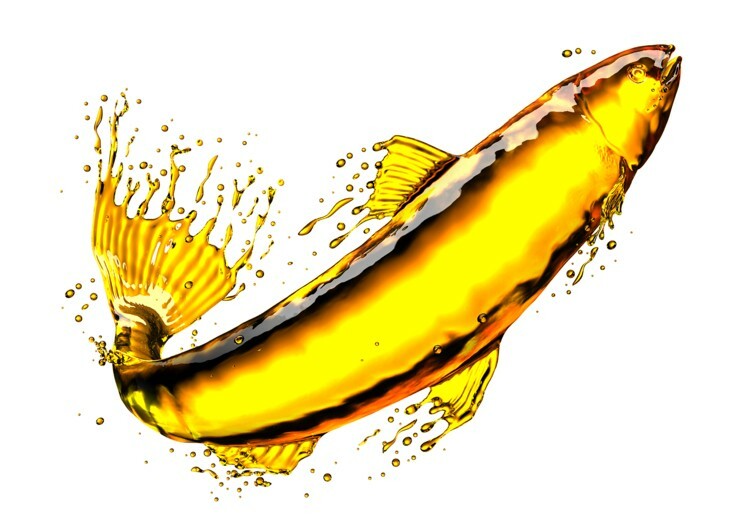 Too high levels of omega-6 fatty acids also lead to heart disease. The too much fatty acid can also affect the lungs by the way they change the bodies reaction to inflammation, they make the body more susceptible to infection. Therefore high consultations are not considered good food for lung healing Here are foods to avoid. • Omega-6 fatty acids vegetable oils: Sunflower, Corn, and Peanut oil. Obese or overweight people have a higher risk of getting asthma. It is estimated that 15-38% of Asthma in overweight Adults could be avoided. Being overweight or obese also increases obstructive sleep apnea. Apnea is a temporary suspension of breathing. Obstructive sleep apnea occurs from breathing pauses during sleep due to an airway occlusion. This is due to the narrowing of the respiratory system. The oxidative stress in our body can be fought with foods rich in antioxidants Antioxidants "catch" the free radicals and thus prevent that to cause this damage. Eat more of these as they are food good for lungs. Magnesium is the fourth most abundant mineral in the body and fundamental to lung health. Magnesium supports enzymes in their work as biological catalysts, they accelerate processes in our body that can help to relax respiratory muscles. Magnesium is a must for lung health as it contributes to the bodies defense in infections & swelling. Food for lung healing Includes more of these foods for optimal lung health. People with certain lung diseases need to pay special attention to eat food good for lungs and focus on food for lung healing by consuming food rich in nutrients and antioxidants. Below are listed some respiratory diseases where nutrition plays an important role. Asthma is a common, lifelong chronic disease that affects the respiratory tract of the lungs causing breathing problems. Asthma occurs in children and Adults can at any age develop it. Symptoms are wheezing, shortness of breath, tightness in the chest and coughing. The reasons of asthma are not yet fully understood however, environmental factors (allergens and air pollutants) can trigger asthma attacks. • Some foods (milk, eggs, and nuts) may have one allergic reaction provoke symptoms. • Some fatty foods cause inflammation symptoms. • Some foods (onions) can cause inflammation because they have anti-inflammatory ingredients. • The lung function of obese asthma patients improves with weight loss because the thoracic cavity has more space and the lungs themselves can unfold completely. • Balanced, nutritious food supports the immune system and defends against the cold and flu, which are often trigger Asthma. • Sufficient drinking of water is important because dehydration is often associated with asthma attacks. (Mucus), shortness of breath (especially under stress), Wheezing and tightness in the chest. Smoking is the main cause of COPD, and even passive smoking and toxins in the air (indoors and outdoors) play a role. Too much salt intake can contribute to the retention of fluid and breathing affect COPD patients. Obesity aggravates the symptoms of COPD, as the extra weight increases stress on the body the lungs cant fully open. Cystic fibrosis (CF) is a common hereditary disease, mainly in the respiratory and digestive tract. If CF gets worse, mucus produces in the airways of the lungs. Clogged and persistent infections, as well as permanent lung damage due to scarring, can occur. About 94% of Cystic fibrosis deaths are due to lung failure. Currently, CF patients have a life expectancy of around 40-50+ Years. • Due to insufficient nutrient intake CF patients need extra Calories. This help too, the heightened Cover energy needs of breathing. • A high calorie and high-fat diet are VITAL for growth and normal development of children with CF. • Fat-soluble vitamins (A, D, E and K) must be supplemented daily. Natural lung cleansing methods and diet changes are all a great start. If you are interested in speeding up your lung health we hope you consider trying our lung cleanse supplement. This is a high potency lung detox that we formulated with the same ingredients used in clinical trails on lung detoxing, cleansing and airway opening. You can see a lung vitamin as sort of the fast track to lung healing and smog or smokers lung recovery. Nutrition and lifestyle changes are effective such as a car and supplements because of the high potency are like a rocket ship. It is a faster method of healing with a functional medicine approach. Many people find improved lung health after 3 months of using new lung. We do not say this so you consider buying more you can get a full refuel for life. You cannot expect years of toxins to be removed in days. We thank you for stopping by. If you are a first time visitor use coupon code FIRST10 for a 10% discount on your order.